Think beyond the juicy burger — hamburger buns are the perfect vehicle for sandwiches, paninis, eggs, and all your favorite low carb recipes! 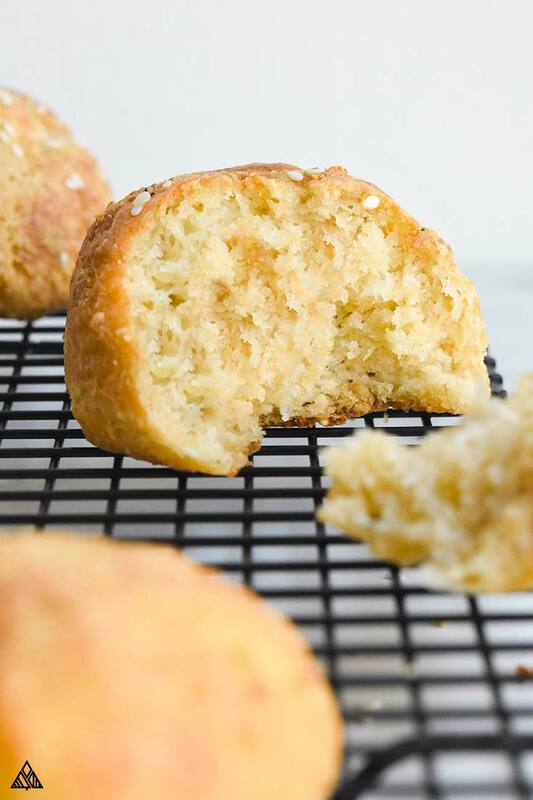 That’s why this keto hamburger buns recipe is a must-have for any keto kitchen. Bring on the pork riblet sandwiches, bleu cheese stuffed burgers and all those awesome and delicious low carb foods you love, because thanks to these amazing keto hamburger buns, it’s chow time! Before working up this recipe, I tried the low carb hamburger buns Walmart had to offer, but they weren’t that great. I mean, they were okay, but… who wants okay (Especially when you’re paying the price for low carb hamburger buns store bought!)? Not this low carb foodie! So, I took to baking, and here’s what I have to share with you! 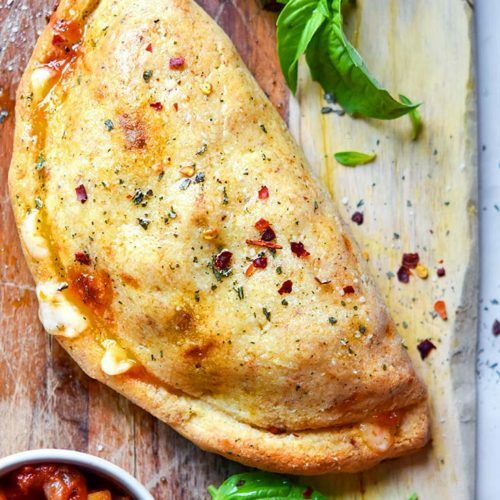 Grab that mozzarella and cream cheese and melt them together. Fold and stir until they’re fully combined. You can do this using a double boiler (as I did in the photos above), or by melting them together in a microwave. Next, pull out a small bowl and mix together the dry low carb food list items — your almond flour, salt, psyllium husk, and baking powder. For those of you wondering, I decided to use almond flour as it makes for significantly tastier buns than keto buns coconut flour (coconut flour is too dry for this recipe). When combined with psyllium husk (which adds the “fluff” to our keto hamburger buns), it’s the perfect low carb flour! Add the dry mix into the melted cheese, and toss in an egg. Fold everything together and combine as thoroughly as you can. Then, take the dough, roll it into a ball, and let it chill in the fridge for about ten minutes. 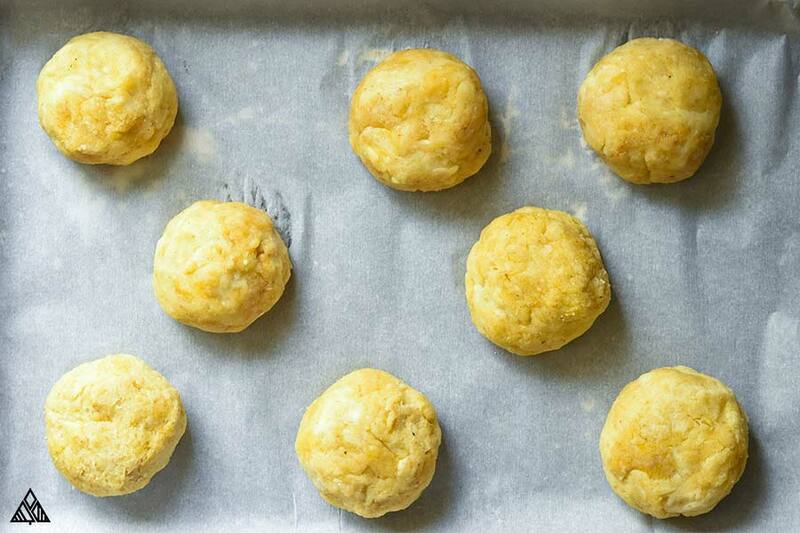 While the dough is in the fridge, preheat your oven and line a baking sheet with parchment paper. 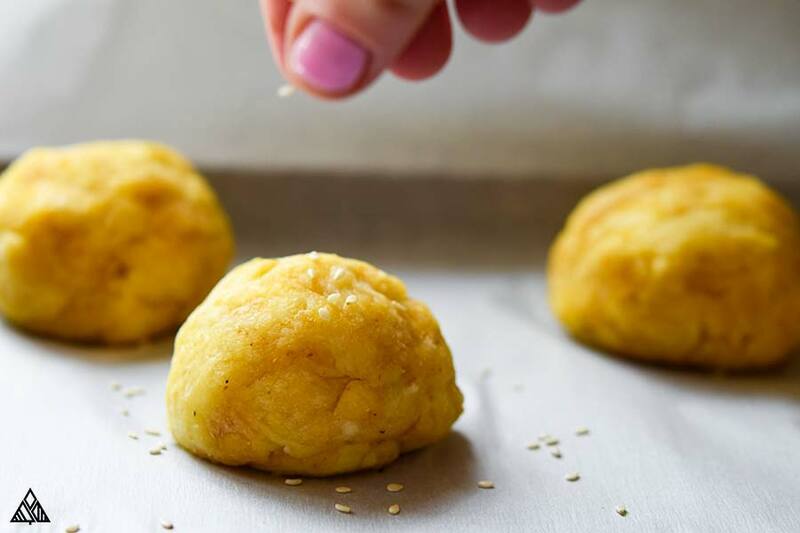 Remove the dough from the refrigerator and form it into four keto hamburger buns. 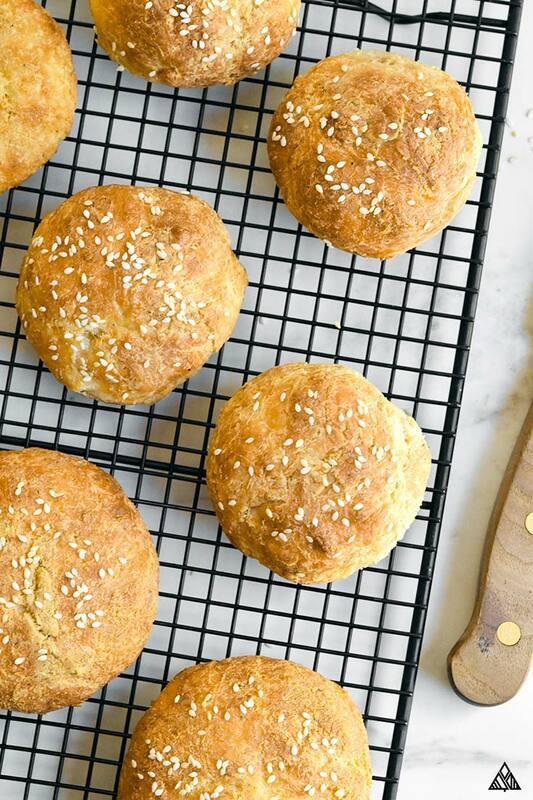 Place the buns on your prepared baking sheet, and sprinkle the tops with sesame seeds (if you’d like). What to Eat With These Keto Buns? 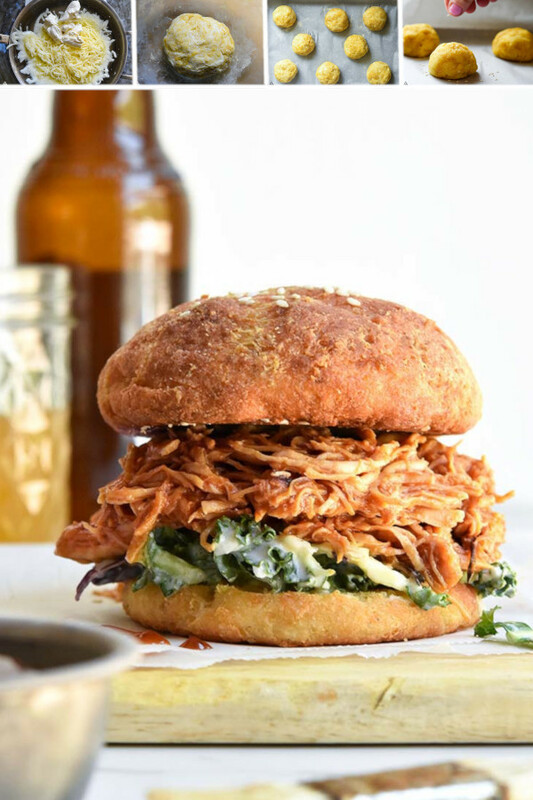 BBQ Chicken Sandwich — Quite possibly the BEST use for these keto hamburger buns (and what is shown in the photos above)! 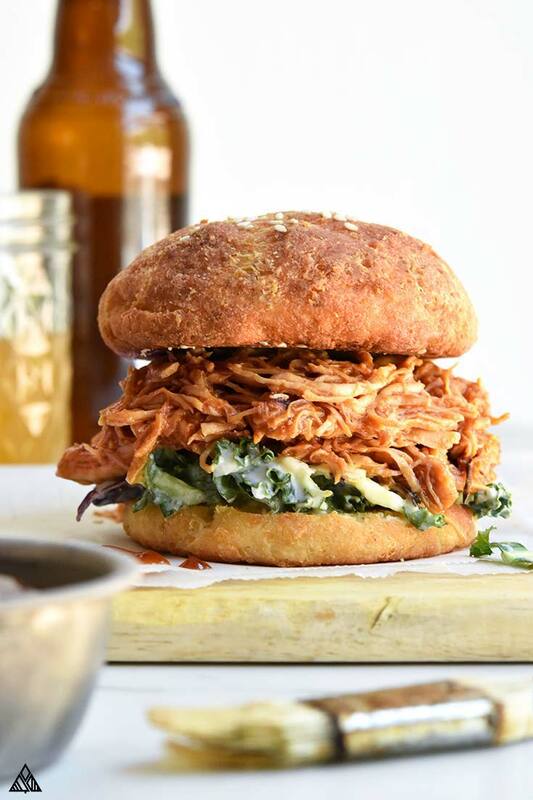 Toss some bbq chicken (I used my instant pot bbq chicken and low carb BBQ sauce) and keto coleslaw between these buns, and enjoy!! Low Carb Chicken Salad — There are tons of keto chicken salad recipes out there, all of which taste AMAZING on these fathead hamburger buns, especially my rotisserie chicken salad (it has bacon, ranch + cheddar!). Keto Tuna Salad — In a similar camp to chicken salad is tuna salad. Again, the cheesiness in these buns makes for a unique and delicious blend of flavors. I personally love tuna salads with extra pickles in partnership with the cheese. Keto Hamburger Recipes — Now for the obvious, good ol’ fashioned burgers are always on your side. Try my bunless burger for a real treat! Low Carb Vegetables Sandwich — Load your buns up with keto vegetables for vegetarian low carb dinners. Then, if I’m feeling saucy, I’ll drizzle on a little keto ranch dressing or guacamole. BLTs — And finally, one of my childhood favorites: the BLT. I love tossing a few strips of fresh, crisp bacon, loads of lettuce and a slice of tomato on these! Honestly, there’s not much I won’t put on this low carb burger bun alternative! 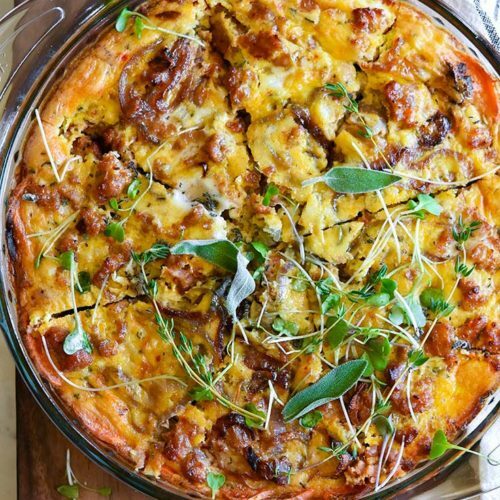 Since they’re loaded with cheese, you’ll need to keep them in an airtight container in the fridge. I always let them cool thoroughly before tossing them in my best meal prep containers and into the fridge. Can You Freeze These Gluten Free Hamburger Buns? 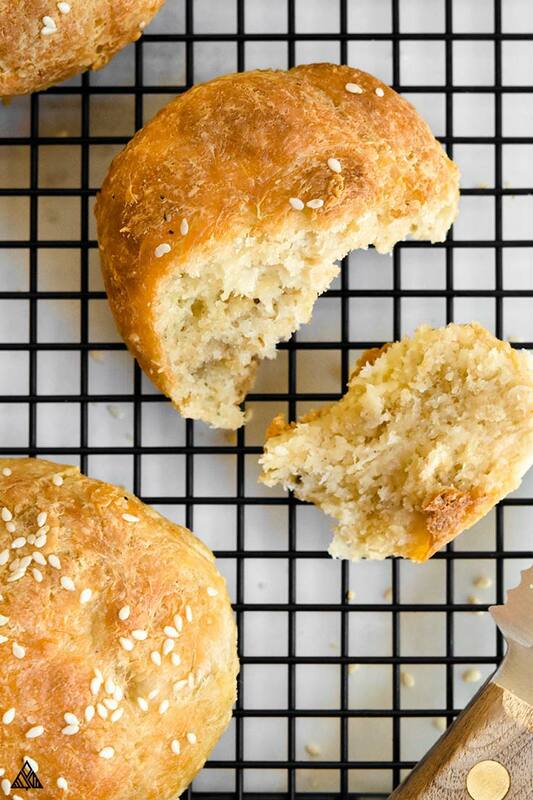 Why yes, you can absolutely freeze these gluten free hamburger buns! I love making them in advance for upcoming events, where I’m going to be short on low carb meal prep time. Swap mozzarella for another meltable cheese — think cheddar, pepper jack or gouda. Upgrade cream cheese for another spreadable cheese, my favorite is Boursin. Add some herbs/spices into the mix — Italian seasoning, garlic salt, Everything but the Bagel seasoning, whatever you fancy! Let’s make some keto hamburger buns! 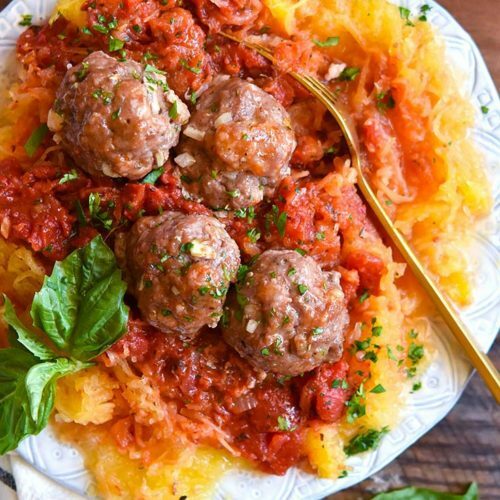 Let me know what you think of this recipe in the comments below. Hope you enjoy! 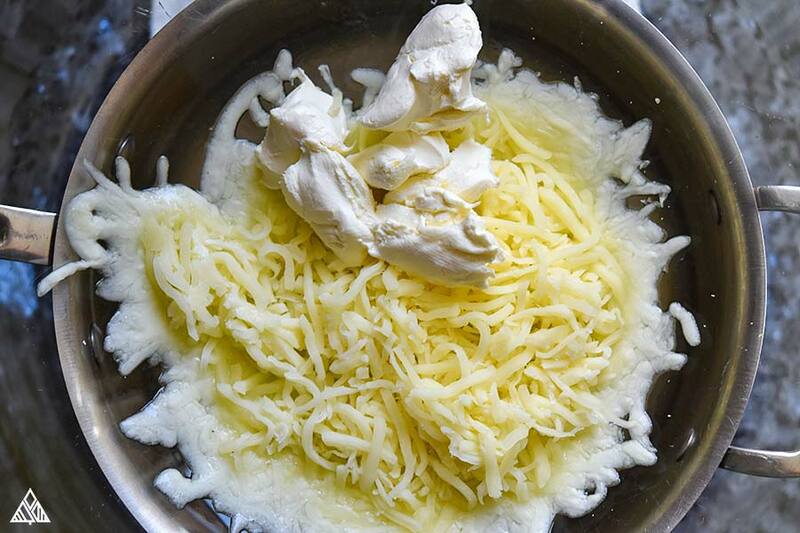 Melt the mozzarella and cream cheese together. I do this using a double boiler, you can also do this in the microwave. Stir and fold to combine these ingredients. In a small bowl, mix the almond flour, baking powder, salt and psyllium husk. Add to the bowl of melted cheese, along with an egg. Fold everything together and combine as thoroughly as possible. 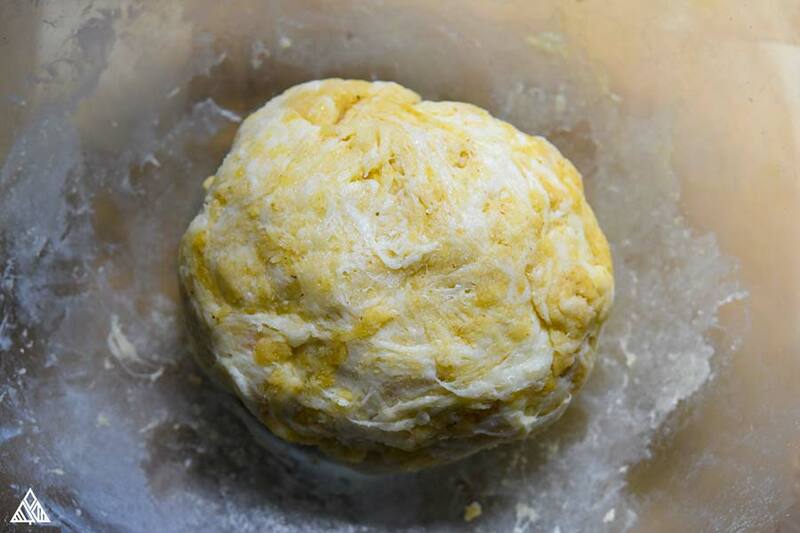 Form your dough into a ball and place in the fridge for 10 minutes. 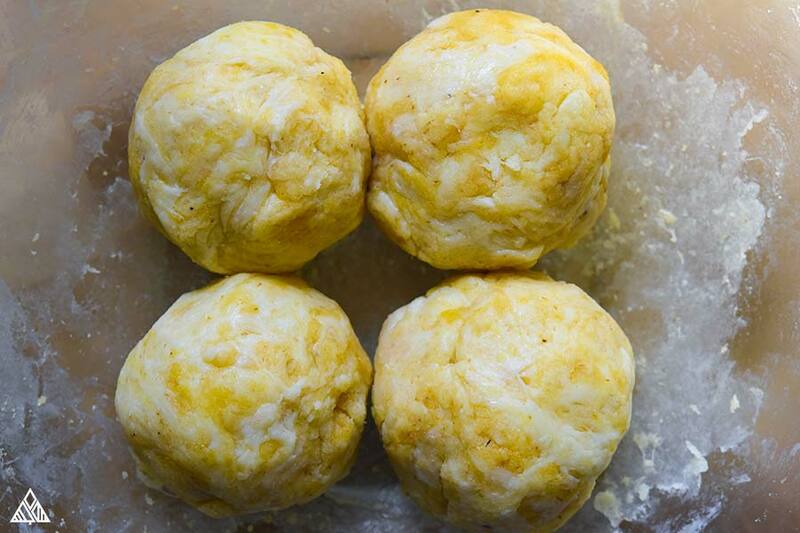 Remove dough from fridge and form into four even buns. 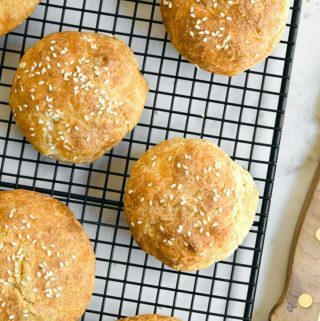 Place buns on the parchment paper and top with sesame seeds, gently pressing them in to adhere. Bake for 15 minutes, or until the outside is golden. Allow them to cool on the baking sheet before slicing, and enjoy! Nutritional information is for 1 bun, if you make 4 buns. *Using a fine grained almond flour will yield better results. I've had great results with both Bob's Red Mill and Trader Joes almond flour. ** Some psyllium husk powders can turn baked goods into a blue-ish purple color. 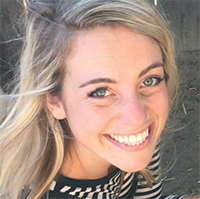 I use NOW Foods psyllium husk powder, and haven't had this issue. « 6 Amazing Low Carb Smoothies – Thirst Quenching + DELICIOUS! Lindsay, I love your enthusiasm and encouraging comments. Thank you for all your hard work! Thank you for the recipe. However, I don’t tolerate psyllium husks. Is there something else I could use instead? I don’t see where to comment in your keto fluffy bread recipe and no other way to contact you (your contact page returns error and email link has no “to” info). Your recipes recommend NOW brand psyllium husk powder, but the links take me to “whole psyllium husks”. Can you please verify which is correct? Thanks!